On Saturday, I was fortunate enough to take part in a six hour long food tour of the North End hosted by Bertolli. 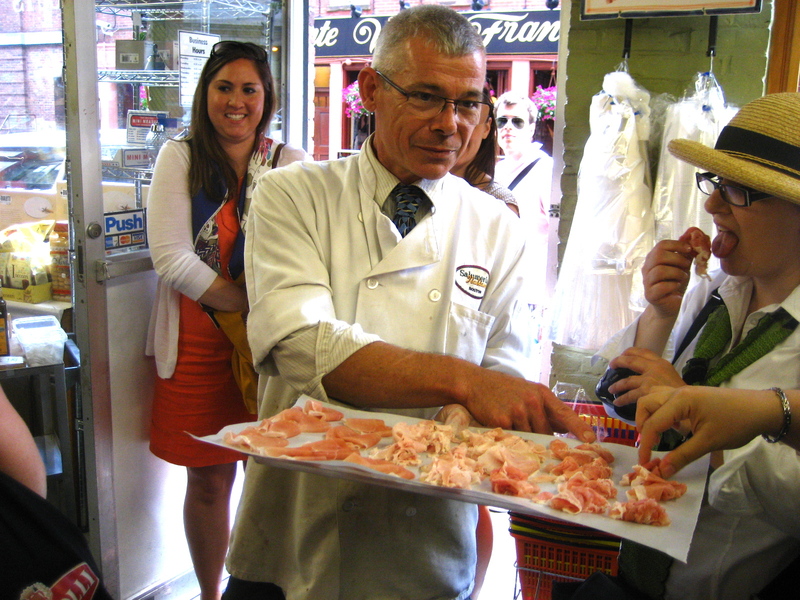 Nine area bloggers were in attendance for a tour that included five wonderful, food-filled stops. Our first stop was Caffe Vittoria, which claims to be the first authentic Italian cafe in Boston. The space has a charming old world feel to it and with classic Italian pastries and drinks to complete the experience. We made ourselves comfortable inside and once the whole group arrived, we did introductions and shared tidbits about our favorite Italian foods and whether or not we had been to Italy. We also heard more about the history of Bertolli from our guides for the day, Lauren and Carly. Something that I learned, the company originated in Lucca, Italy, a city I am fortunate to have visited not once but twice. 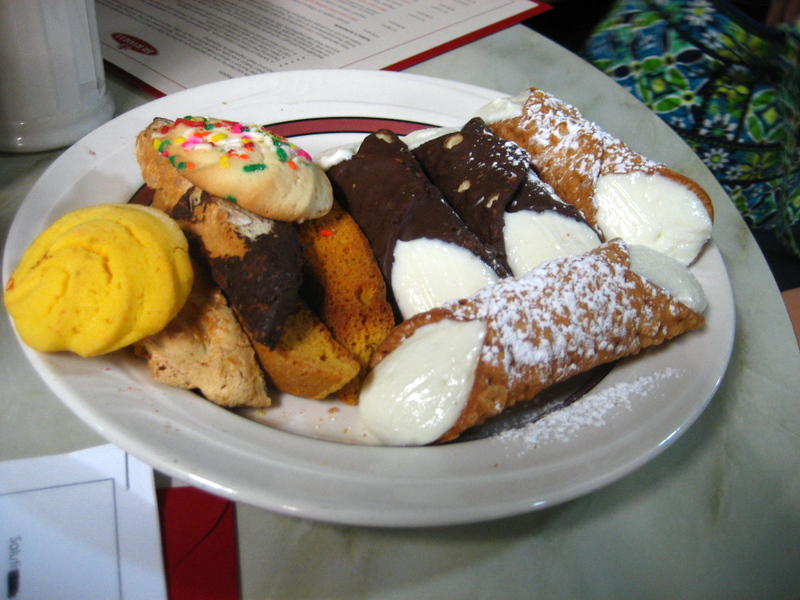 While we chatted, we enjoyed plates of plain and chocolate-dipped cannoli, anise toast, biscotti, and cookies along with cappuccinos and mochas. The manager, Armando, talked to us about the history of the Caffe Vittoria and their commitment to offering authentic Italian food and beverage, right down to the Lavazza brand coffee. Armando told us a little bit about their gelato selection and then offered to bring out a few flavors for us to try. Though a gelateria was included in the day’s itinerary, we were not about to turn down his generous offer. I tried a hazelnut and pistachio, but my favorite by far was the coffee gelato. It is definitely worth making a trip to the North End for, and I just might venture out there the next time a craving for coffee gelato hits. 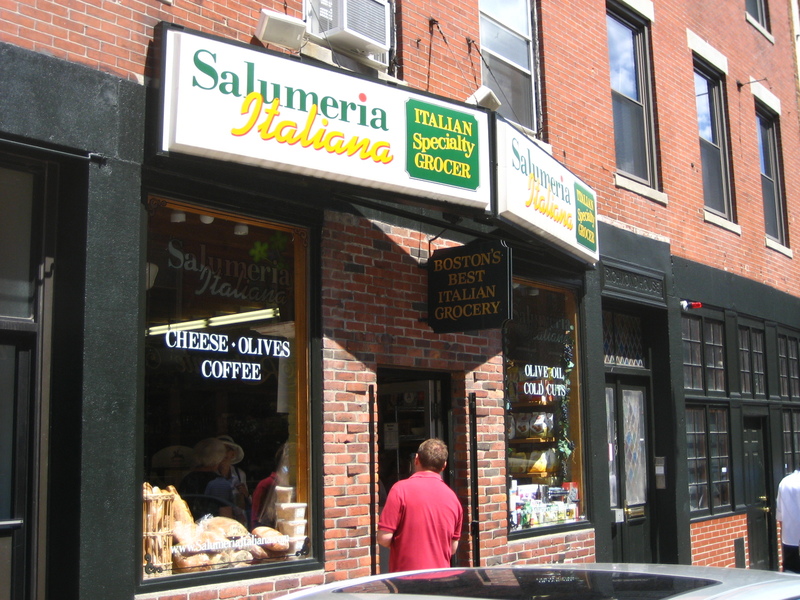 Next up was Salumeria Italiana, a shop I had never seen even though it is just steps off Hanover Street. It absolutely reminded of the small food shops I visited all over Italy. 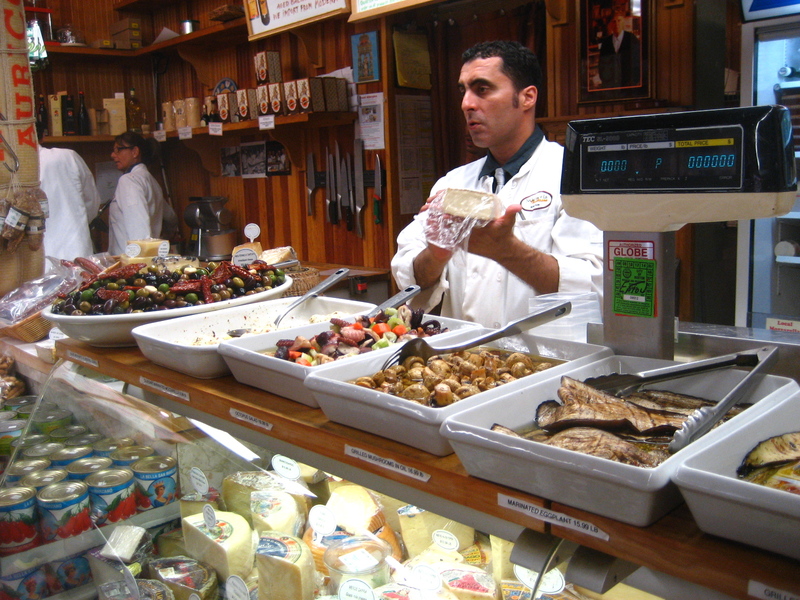 There was a massive selection of salumi, Italian cheeses, prepared foods, and just about any item from Italy that you could imagine: olive oils, vinegars, pasta of every shape and grain, Italian biscuits, canned tomatoes, and so much more. It was not just the product selection that reminded by of the shops in Italy, but the layout of the shop and the atmosphere inside. All of the employees were friendly and eager to help you find what you were looking for. 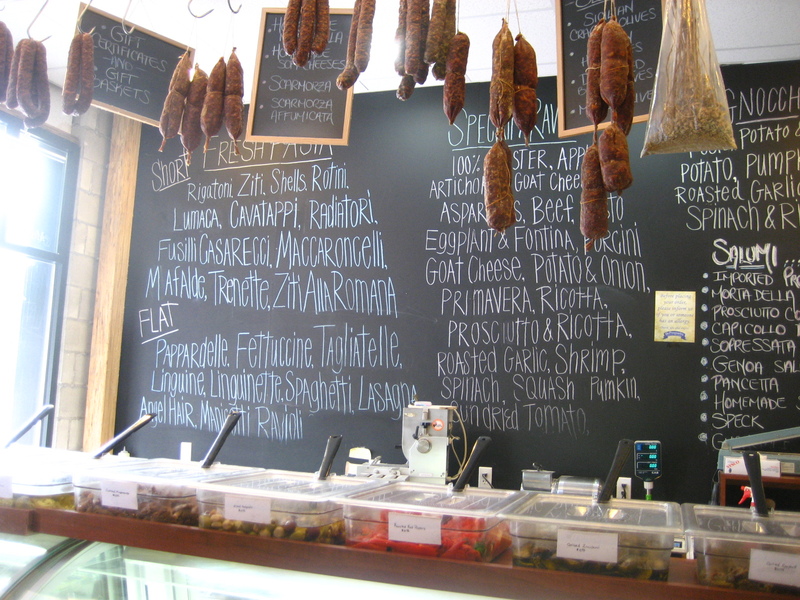 The Salumeria’s own chef Raymond led us in a tasting of three cured meats: prosciutto, porchetta and speck. 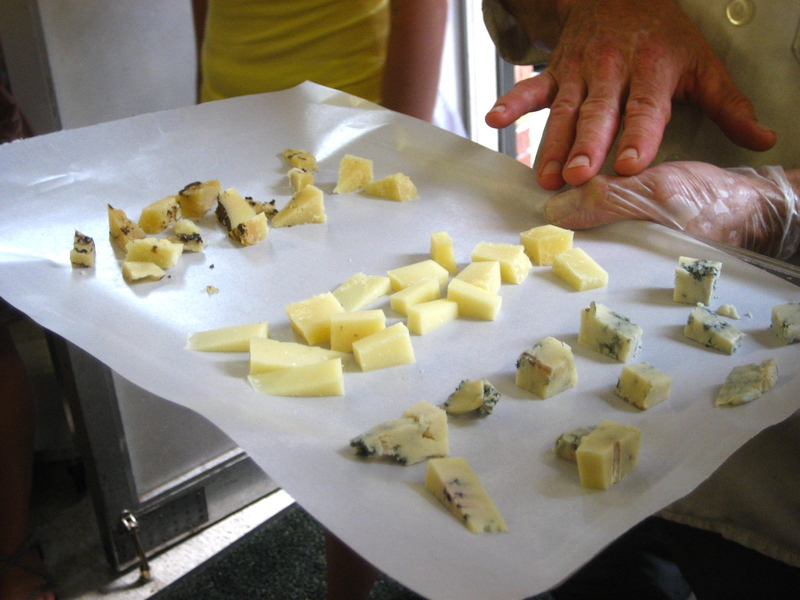 This was followed by a cheese tasting that included a blue cheese, Piave, and Moliterno al Tartufo, an aged sheep and goat’s milk cheese that is injected with black truffles. The Piave was slightly softer and creamier while the Moliterno was harder in texture with nutty and earthy flavors from the truffles. Following the cheeses, we tasted three olive oils, and finally the sweetest and thickest aged balsamic that we were fortunate enough to each take home with us. Raymond recommended topping bitter greens with it. I am looking forward to macerating strawberries in it and putting the mixture on top of vanilla ice cream. 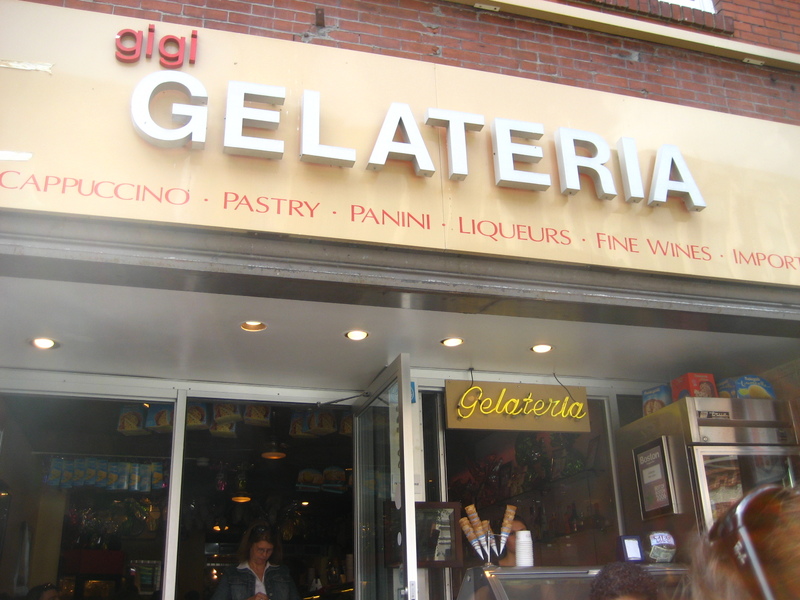 Our next stop was Gigi Gelateria. 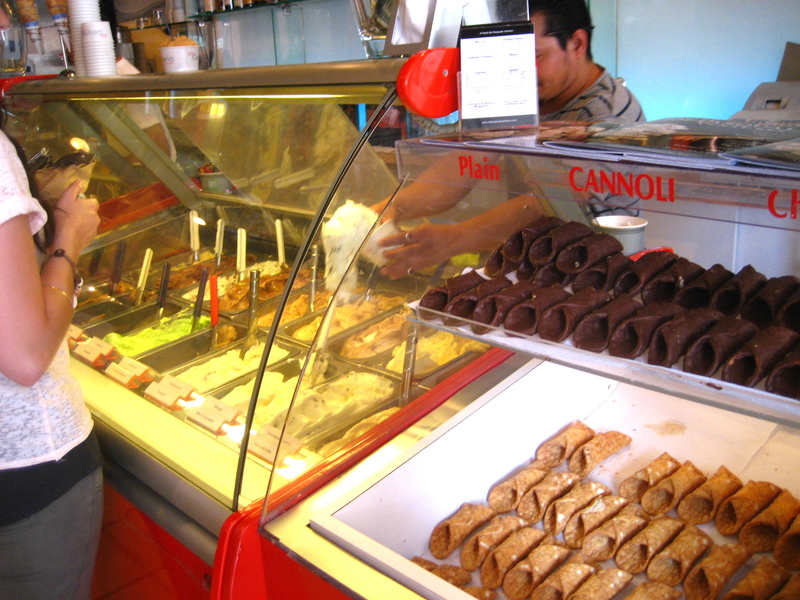 There we heard from owner Frank DePasquale as we enjoyed flavors like tiramisu, bacio, and caramel. 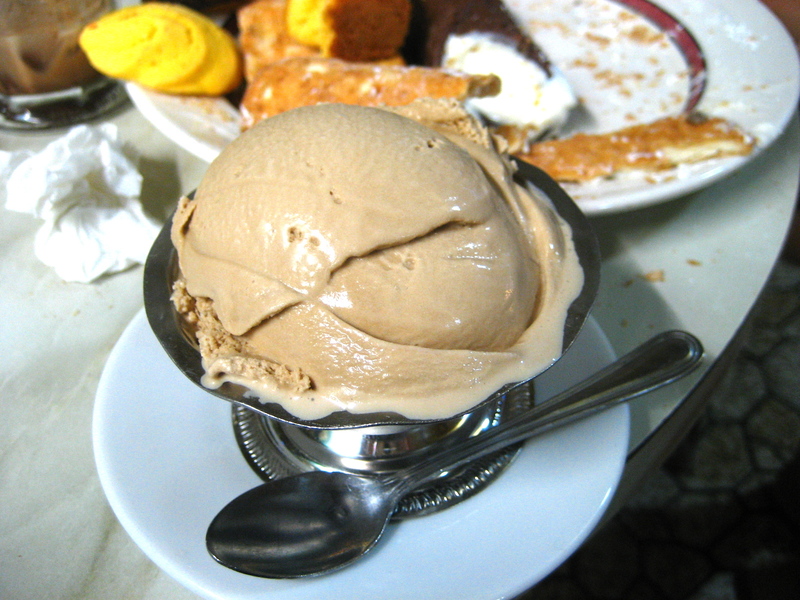 To be honest, I liked the gelato at Caffe Vittoria more, as I found it to be creamier and the flavors more well-balanced. Gigi did however blow me away with their sorbet selection. Frank highly recommended the grapefruit sorbet and several of us took him up on that suggestion. It was perfectly refreshing, tasting of nothing more than lightly sweetened grapefruit juice. Our final stop before dinner was DePasquale’s Homemade Pasta Shoppe located on Cross Street just around the corner from Hanover Street. The list of fresh pastas seemingly goes on forever, with mouthwatering combinations like artichoke and goat cheese, eggplant and fontina, and prosciutto gorgonzola and fig. 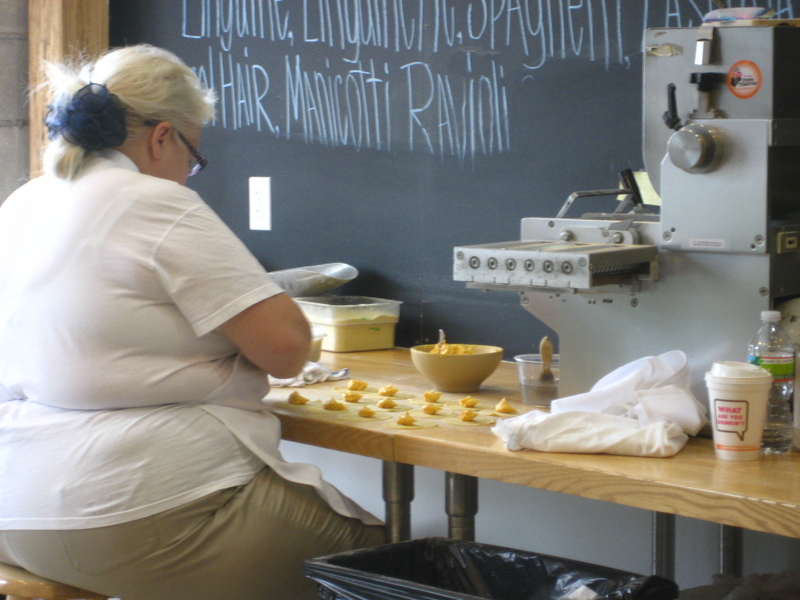 We watched as DePasquale’s pasta maker extraordinaire sat at her work station and hand-filled every piece of pasta. We also had a chance to taste the shop’s housemade mozzarella, which I can safely say is some of the best fresh mozzarella I’ve ever had. 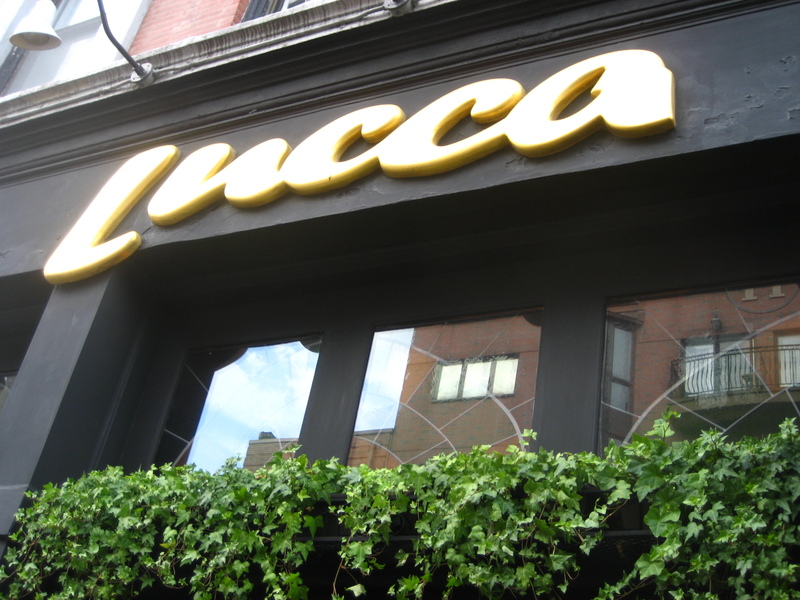 Our final stop of the evening was to Lucca for a three-course dinner with wine parings. I do love my bread (or focaccia) and butter, but I also enjoy when restaurants provide another creative spread. 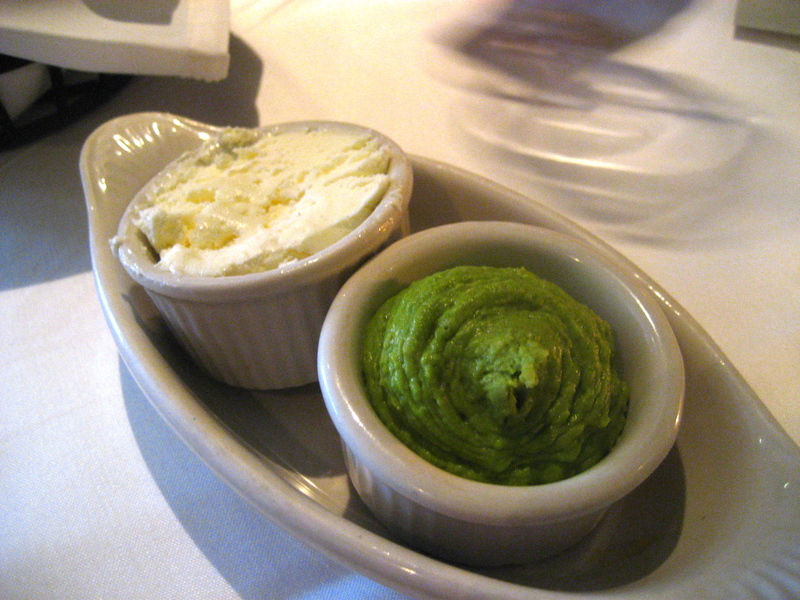 This one was some time of bean puree and flavored ever so slightly with basil. Similar to hummus, but lighter and rich. 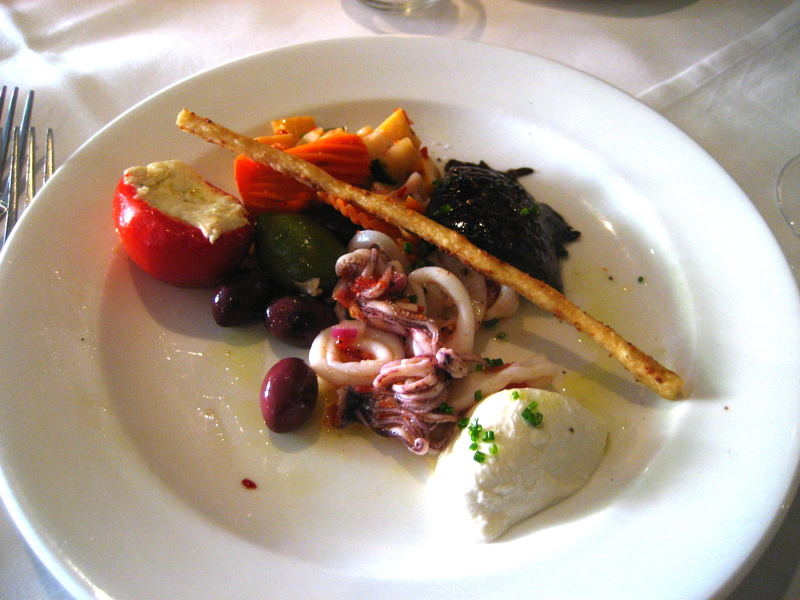 Our first course was an antipasto plate with olives, spicy pickled vegetables, a peppadew filled with a blue cheese mixture, squid, a marinated portobello mushroom, a chunk of fresh mozzarella, and cured meats. The entree was a side by side tasting of two different pastas. The first was house-made caramelized onion and goat cheese ravioli with fava beans, escarole, blistered cherry tomatoes and basil, and aged goat cheese. The pasta was perfectly tender and the filling had a delightful caramelized onion flavor. 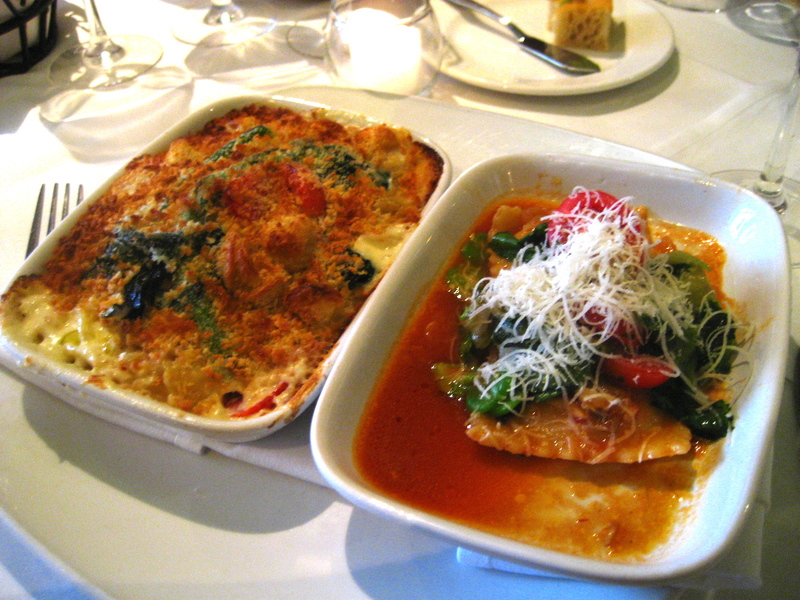 The vegetables offset the richness of the pasta somewhat, as did the sweet tomato broth at the bottom of the dish. The other pasta in the tasting was a tagliatelle with lobster and bacon. I would have been more than okay just the ravioli, but our server was determined to bring a second pasta tasting without meat. He brought out the orecchiette pasta baked with fontina cheese, panko bread crumbs, broccoli rabe and baby tomatoes, finished with truffle oil. This was essentially a very elegant version of a macaroni & cheese. The sauce was thick, but still soft and viscous. The browned panko crumbs created a coarse and buttery crust on top. After the main course, we all shared each of the four desserts offered. 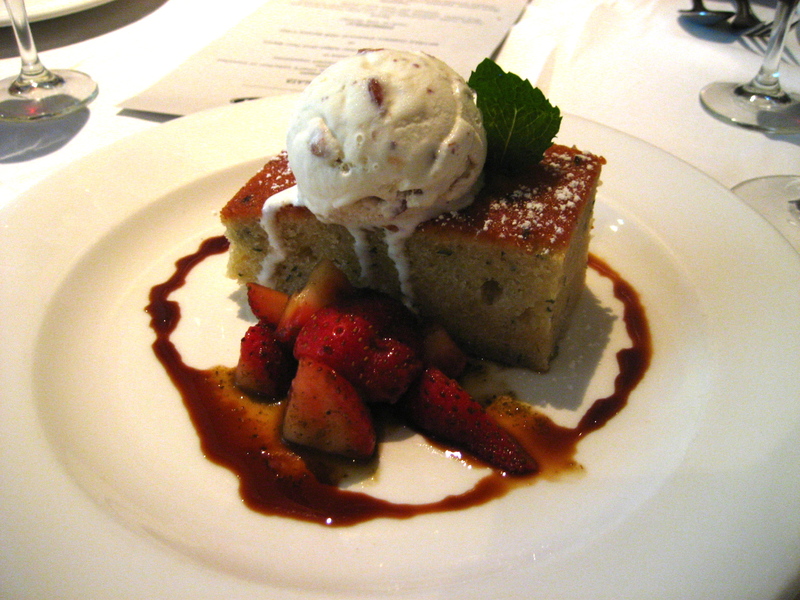 My absolute favorite was the toasted almond basil cake with almond ice cream and macerated strawberries. 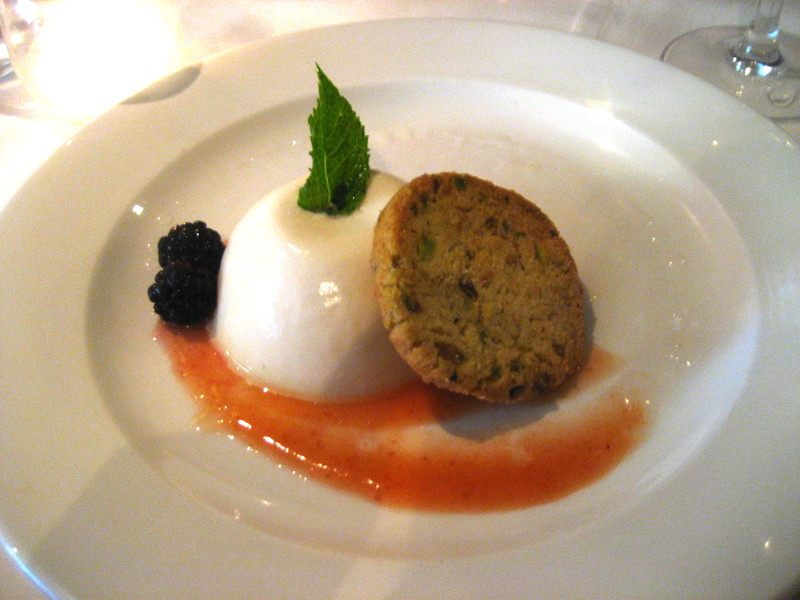 Peach panna cotta with blackberries and pistachio cookie. 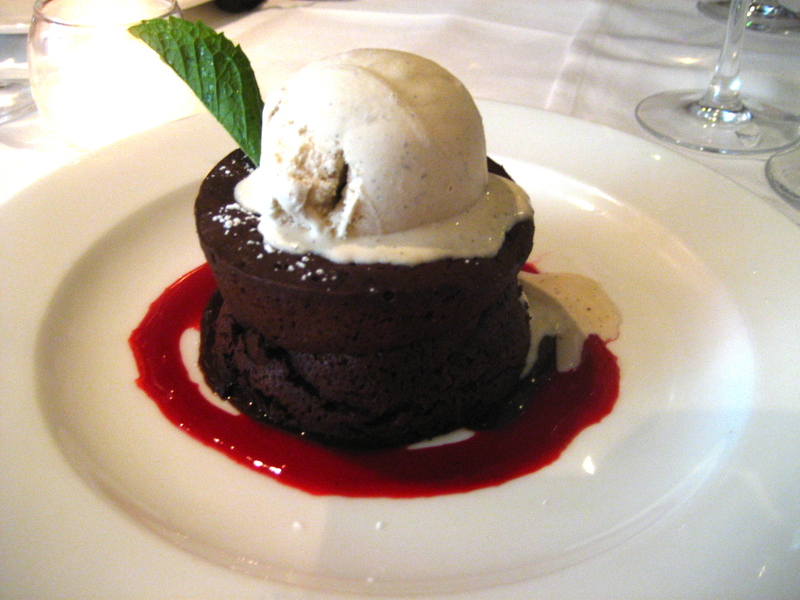 Warm chocolate torte with vanilla bean gelato. 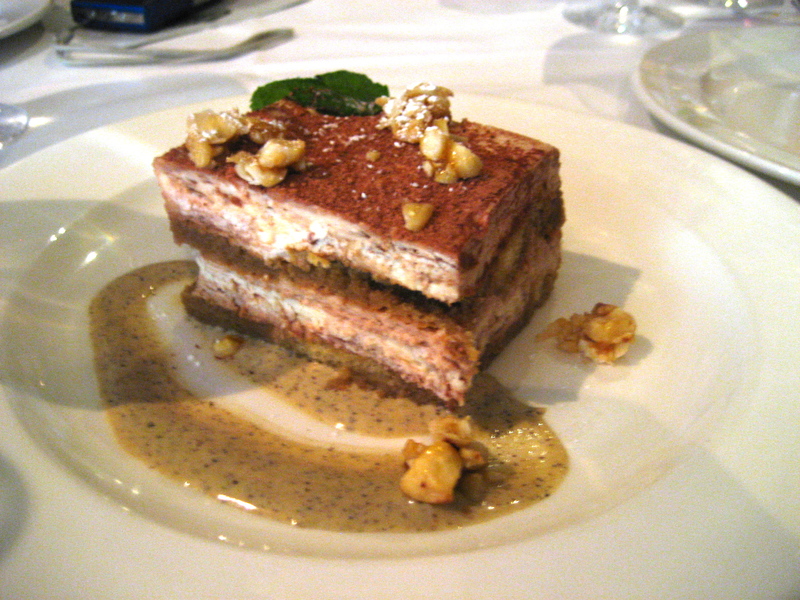 Below, tiramisu with hazelnut brittle. I could think of few better ways to spend a Saturday than discovering hidden and not so hidden gems right in our own city. Though I’ve been to the North End several times, I had never been to any of places on our tour before and it was fun to play tourist for a day. Many many thanks to Bertolli and to Lauren and Carly, our fabulous guides for the day. 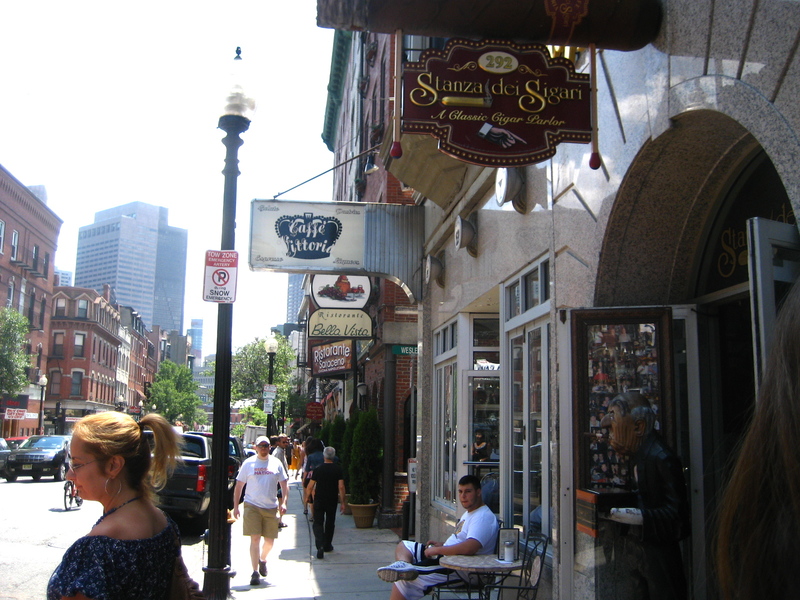 This entry was posted in Boston and tagged Boston, cheese, gelato, Ice cream, italian. Bookmark the permalink. You guys got an amazing tour! I will agree with you the more traditional Caffes (Vittoria, as well as Cafe Paradiso) have creamier (overall better) gelato othan Gelateria, but Gelateria has them beat on flavor selection! Salumeria is my favorite! I can spend a fortune in there. 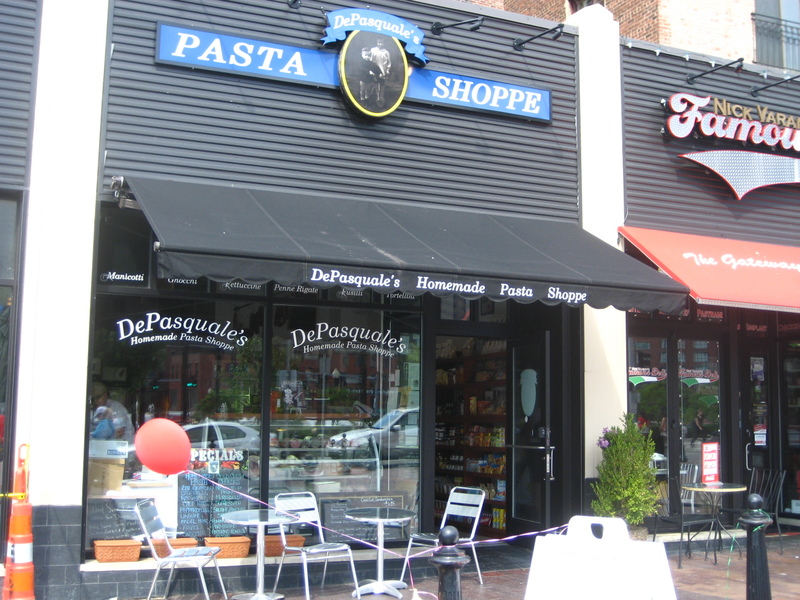 I have never actually bought Pasta from Depasquales, but I think I should try out some of those flavors soon! So fun!! I really wanted to go to this but was in NH for the day. 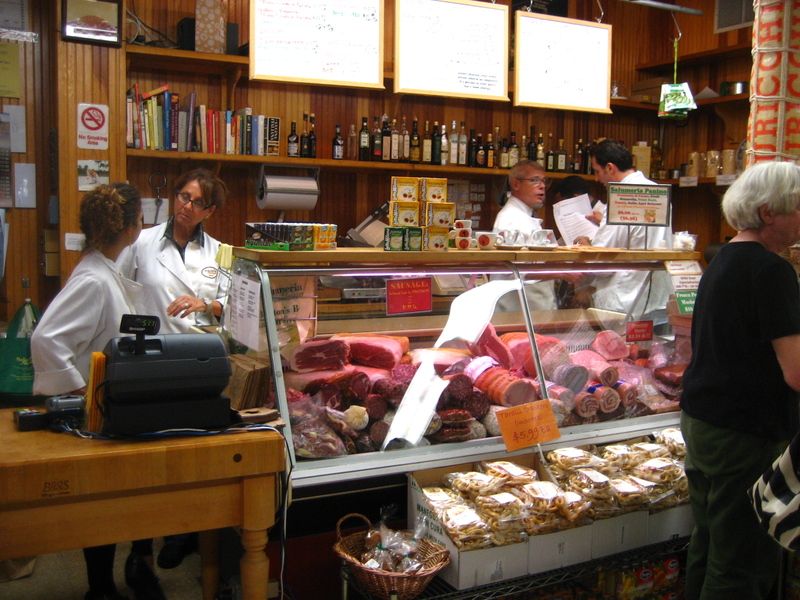 I’ve stopped in and been mesmerized by Salumeria Italiana before – such a neat shop. This was such an amazing tour. I loved all the stops on the tour and found some new places I will definitely be heading back to! P.S. I agree with you about the gelato. This looks insanely fun! Lots of great eats there! What an amazing day! Your photos are fantastic! It looks like you ladies had such a fantastic time! I was sadly out of town and had to miss this event but I’m happy to live vicariously through your blog! What a day! A trip to Italy couldn’t have been as nice. Wow! Looks like a fun event! I’m pretty sure i can’t think of any better way to spend your day. I LOVE the north end! now I’ll know where to go the next time I’m in Boston. I’ll be hitting up all of these stores! gahhh! The north end is SO amazing! Best little hole in the wall restaurants. The Italian pastries, cheeses and cheesy baked dishes all look so awesome. What an experience! Italian cuisine has developed over the centuries. Although the country known as Italy did not unite until the 19th century, the cuisine can claim traceable roots as far back as the 4th century BCE. Through the centuries, neighbouring regions, conquerors, high-profile chefs, political upheaval and the discovery of the New World have influenced its development.